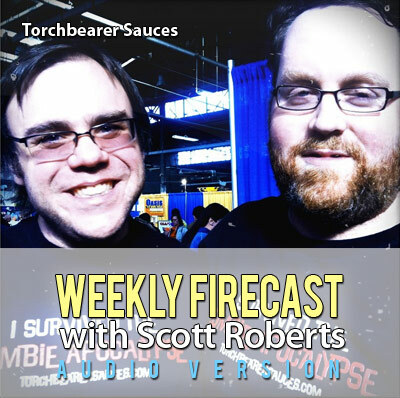 Scott interviews Vid Lynch and Ben Smith of Harrisburg, Pennsylvania-based Torchbearer Sauces, and they discuss their unique offerings of condiments, hot sauces and BBQ sauces, their experiences as a young company, and their crazy cool bottle labels. Scott also reviews High River Sauces’ Rogue Blood Orange Moruga Scorpion Sauce. �Click Above to Listen to This Episode Now! Download this episode | Subscribe via iTunes | Subscribe via RSS FeedCopyright 2012 ScottRobertsWeb.com.